The United Nations represents an annual global market of over USD 17 billion for all types of products and services. The UNGM platform increases and facilitates the access of suppliers in developing countries, and in countries with economies in transition, to the United Nations market through: awareness building and outreach activities (e.g. business seminars), simplified processes (e.g. registration) and establishing partnerships with the private sector (e.g. through Chambers of Commerce) and Member States institutions (e.g. the relevant Ministry/ies). 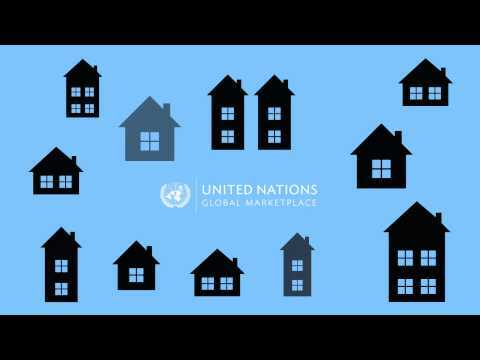 This video provides a brief introduction to the United Nations System Organizations, to the UN Procurement and to the United Nations Global Marketplace. The following is a simple step-by-step guide to help you enter the UN market for goods and services. Respond promptly to an inquiry or to the Request for Proposal from a UN agency. To become a potential supplier for the United Nations, vendors have to register on UNGM. Go to the homepage www.ungm.org and click on the 'Register' link in the top menu. The UNGM is a registry of suppliers available to all UN procurement personnel, and is the main supplier database of 26 UN organizations. Please note, however, that even though the UNGM is open to all procurement staff, some organizations do have their own supplier database. Therefore, it is important that potential suppliers also register with UN agencies that do not directly support the UNGM – those agencies are not selectable during the UNGM registration process. If an agency is not selectable on UNGM, please contact the agency directly. For links to other UN organizations please refer to the Directory of UN System Organizations. UNGM publishes, online, procurement notices as well as contract awards (please see Business Opportunities in the UNGM home page) on behalf of many UN Agencies. Suppliers should refer to the website frequently to see if any notices are relevant to their organization. For a prompt tender registration, Suppliers may also subscribe to the Tender Alert Service to directly receive on their email address new procurement notices that fit with their core activities as soon as they are published. Written communication by a supplier to provide information about its products, resources, qualifications and experience, in response to a particular opportunity. Less formal solicitation, lower value (generally up to 100,000 USD), standard specifications, product readily available on the market. Formal solicitation, higher value (generally above 100,000 USD), lowest price, compliancy and technical competency determining factors. Formal solicitation, higher value (generally above 100,000 USD), requirements possibly met in various ways, overall best solution will win the contract, not necessarily lowest price . ... and don’t give up too easily: developing and establishing contacts and business with UN agencies requires the same time as dealing with another new market. The UN Agencies and the UNGM team encourage all the suppliers to subscribe to the principles of the UN Global Compact. Visit the pages of this VBS area dedicated to the Global Compact. Development Business is a United Nations portal providing a comprehensive source of information on opportunities to supply goods, works and services for projects financed by the United Nations, governments and the world's leading development banks. Please see www.devbusiness.com for more information.